The American Dental Association recommends a routine exam every six months for patients aged three and older. We agree! The checkup involves obtaining a clear picture of your oral health, which we do with digital x-rays and intraoral cameras. We then offer a precise and accurate diagnosis. We look at your teeth for signs of cavities or infection. Watching the gums for signs of inflammation and redness/bleeding, we look for the common indicators of gingivitis and gum disease as well. Wear and friction on your teeth could point to TMJ disorder and bruxism, and we also offer oral cancer screenings. By identifying problems in the early stages, we have the option of treating the issue with less intensive procedures. Part of your visit also includes the dental cleaning. People of all ages should have their teeth cleaned, which involves thoroughly removing a plaque and tartar from the teeth. Products of bacteria, plaque and tartar weaken tooth enamel, causing erosion and a greater risk of tooth decay. The buildup is also linked to poor gum health, such as the onset of periodontal disease. By removing the buildup, we not only safeguard your overall oral health, but also help you leave the office with a fresher breath and even brighter teeth. Should you or a member of your family be more likely to develop gum disease, then visits every three to four months may be needed. If you or your older children develop serious plaque buildup, this could eventually cause gum disease. In order to reverse gingivitis or to help manage gum disease and protect your smile from tooth loss, we may prescribe a scaling and root planing. The procedure involves removing the plaque from the teeth and the roots. Depending on the extent of your buildup, the procedure could take one visit or up to four to complete. Treatment then reduces inflammation and improves overall oral health. If you have any questions about our approach to family dentistry, then talk to our team today. We’re ready to schedule a routine checkup and cleaning for your entire family. 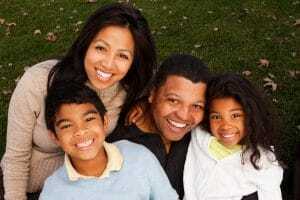 Do You Need Family Dentistry? We offer comprehensive dental care to help the entire family, from kids to adults and seniors, which helps maintain healthy smiles for many years to come. 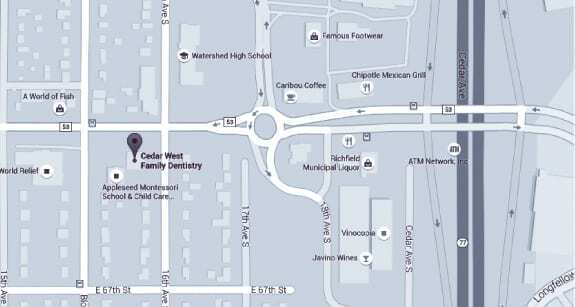 To learn more about our approach to family dentistry, schedule a consultation with Dr. Keller by calling Cedar West Family Dentistry in Richfield, MN, today at (612) 861-7188.